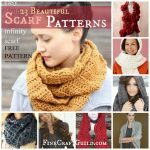 Best round-up of the most stunning, unique, clever, beautiful and practical re-purposed mason jar crafts. Mason Jars are today’s most iconic glassware. They used to be called canning jars or recycled jam pots. But today, they are mason jars, and they are craft worthy! In fact, they are barely recycled these days and sold at a premium at home decor shops. Anyhow, I love ‘m and am sure, so do you. 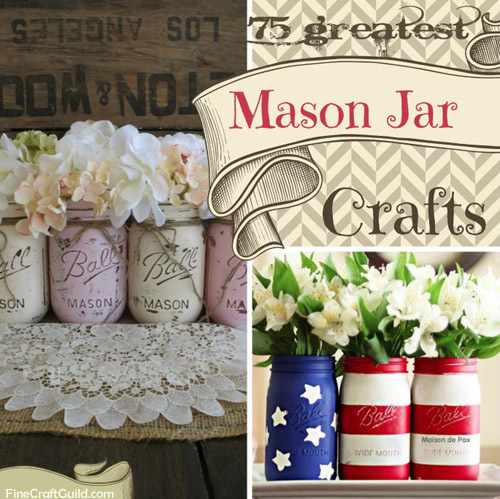 Whenever I find a good new mason jar craft, I add it to this round-up. This is what I found today. 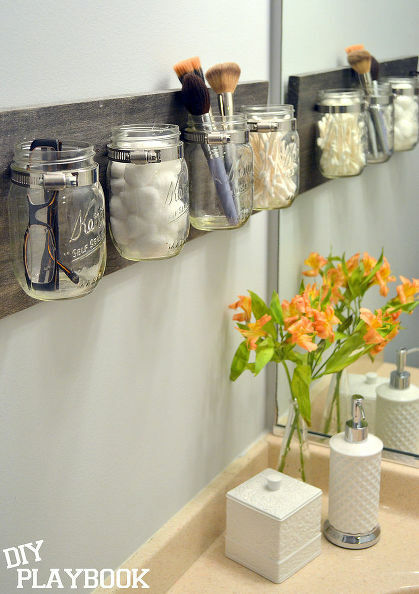 In this DIY project (yes, with full tutorial) a trendy small bathroom storage solution is created by a hanging row of mason jars. 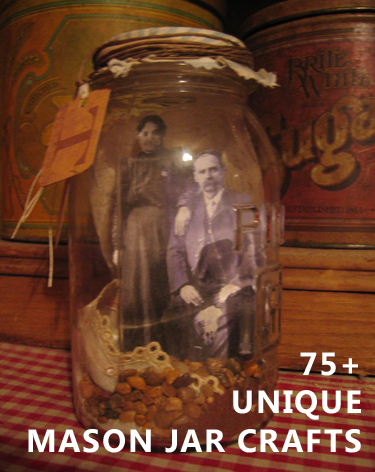 This ‘family photo album in a mason jar’ is my latest addition to the mason jar collection. Absolutely fabulous! 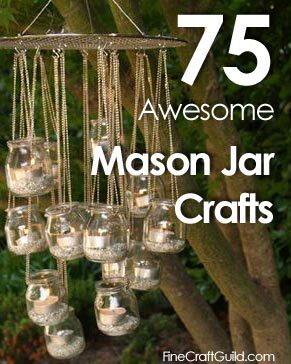 My list of WOW Mason Jar Crafts DIY has been growing for some time. I am still allowing a few more days to expand the list with this Open Linky. Yes, feel free to link up yours also. As long as it qualifies: made by you, and just the cutest, most amazing ideas for Mason Jar crafts will stay included. 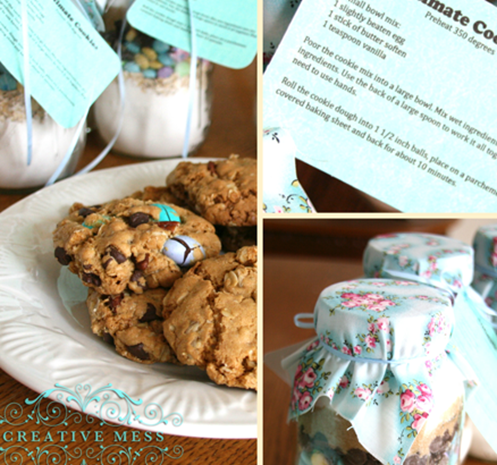 These mason jar ideas I am showing here today, I consider, simply THE BEST. Enjoy! 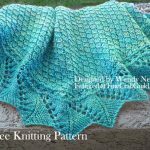 If you like this post, please help it along! 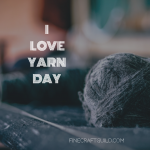 Post by Fine Craft Guild dotcom. The first one is by Joanne who has just the best sense of color. And the story to go with these cookies is also really nice. I love it when people live together as neighbors so well. Community is so important. These cookies were made for her neighbor who’s been keeping her driveway free of snow all winter. How nice is that?! And this gorgeous DIY recycled glass garden chandelier is bonus. Complete with DIY How-to video tutorial.